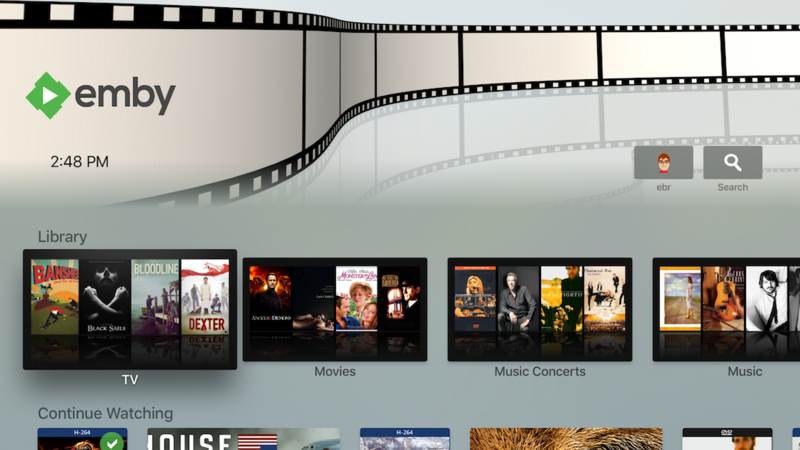 Access all* of your Emby media now from your Apple TV device. 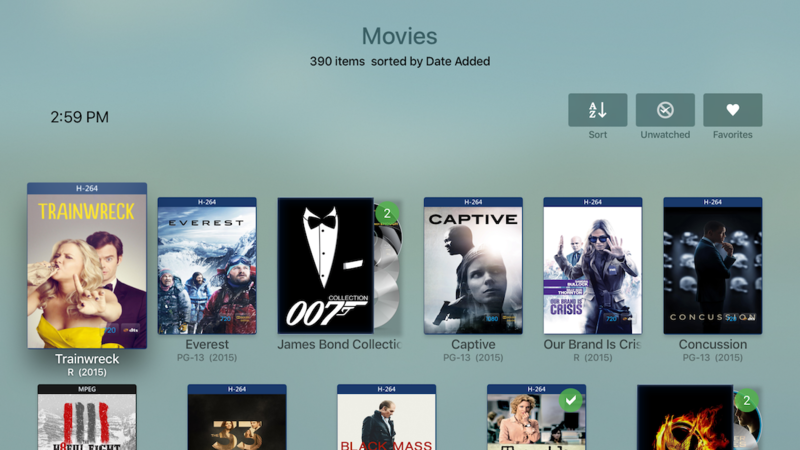 Find what you want quickly and easily with a smart home screen design as well as individualized displays for each media type. 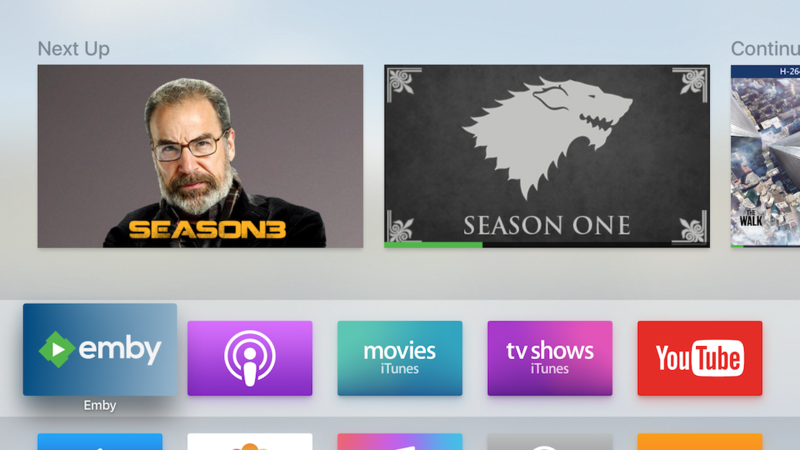 Or use the full search capabilities including voice dictation (requires tvOS 9.2). 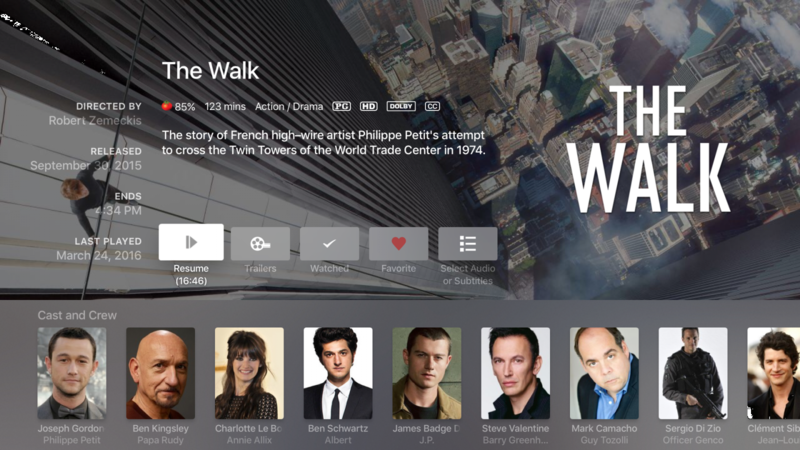 Or browse your TV and Movie collections with ease with smart library landing pages and grid views as well as search integration. 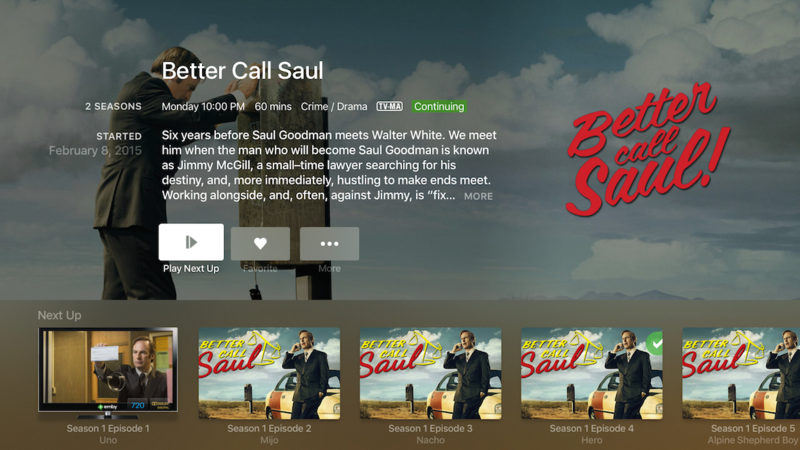 A beautiful detail screen presentation allows you access to all the information for a particular item as well as cast, related content and suggestions. 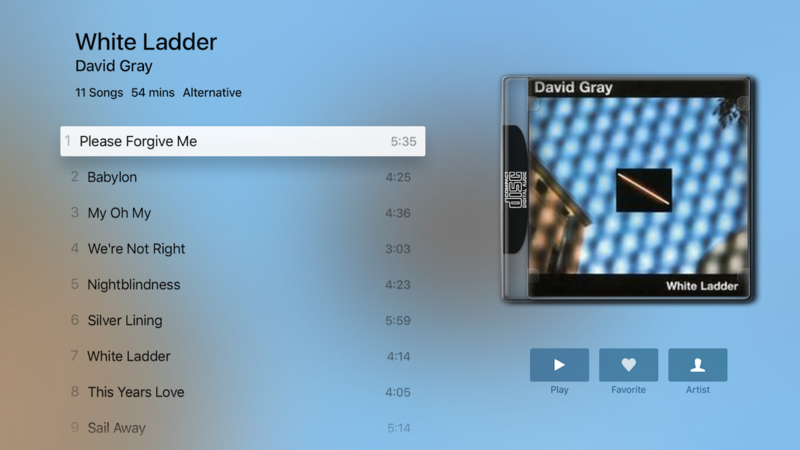 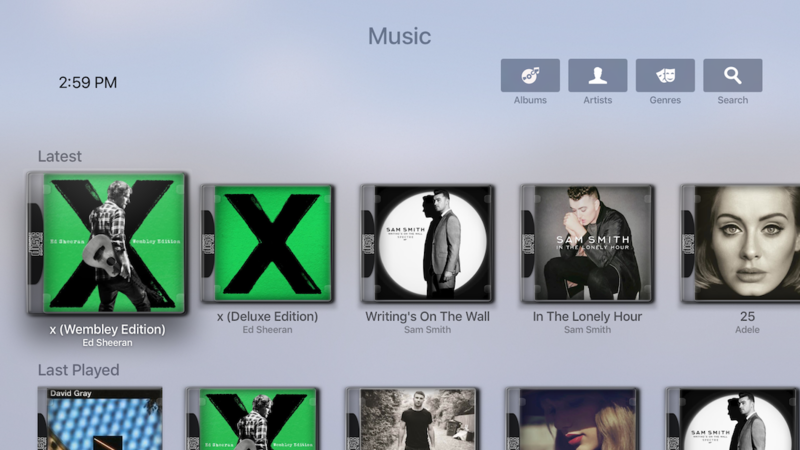 Emby for Apple TV knows music too with easy access to artists albums and playlists. 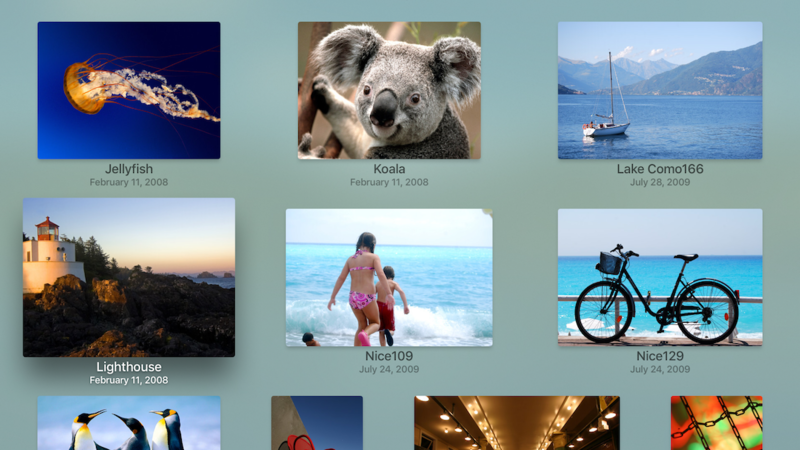 Even your photos will look more beautiful in the Emby for Apple TV interface. 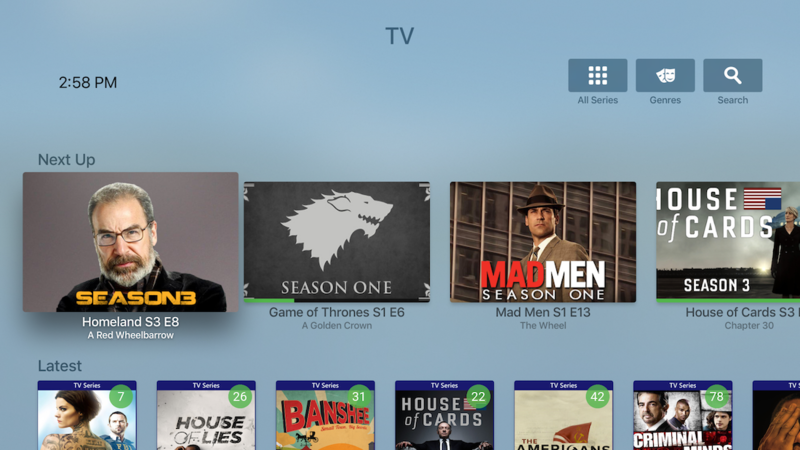 Emby for Apple TV is available in the tvOS app store.